Antonio Caruso first appears in the Painesville, Ohio, area in 1917 when he registered for the draft for World War I.
Antonio Caruso was born on July 21, 1888, at Lucca Sicula, Sicily. 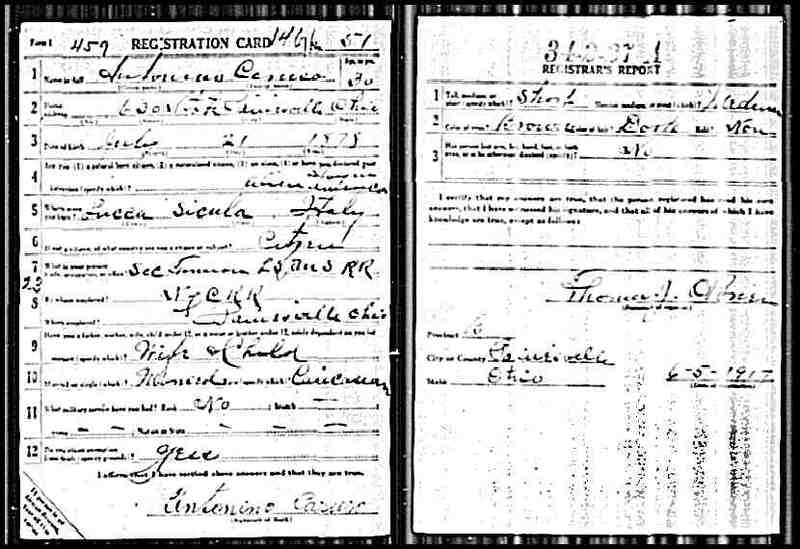 Antonio Caruso registered for the World War I Draft on June 15, 1917. He was living at Painesville, Lake County, Ohio. Antonio was employed by the New York Central Railroad Company. Antonio has a wife and child in 1917. Antonio Caruso was not related to Painesville resident Giuseppe Caruso.